You know the importance of using a car seat. You carefully strap Junior in, even for a ride around the corner. Of course, no one really expects to be in a car accident. When your child is injured, you can’t help but wonder. Were the damages worse because of a defective car seat? It could be that you purchased the car seat at a secondhand shop. Or, maybe you bought it at a garage sale. It might be that you thought it best to buy the safety seat new at a retail store. Does the latter guarantee that it is free from defects? Let’s review some facts. Whether you bought the car seat new or used, you should know there is a central place to look for recalls. The National Highway Traffic Safety Administration (NHTSA) is the recognized resource for securing safety recall information for automobiles and car-related items. Of course, this can be useful if you didn’t buy and register the child restraint system new out of the box. Parents Magazine also offers a search feature to check for car seat recalls. Britax ClickTight Convertible Car Seats – Harness adjuster on some ClickTight model convertible car seats may remain down. As a result, shoulder harnesses may loosen on the child’s body and cause the child to be insecure in an automobile accident. Graco Car Seats – In certain models, the harness buckle may prove faulty. It might be difficult to open the car seat and remove the child. This could add to problems in the event of a motor vehicle crash. Evenflo Car Seats – Issues may be similar to those experienced with Graco models. Easy removal of a child in the event of an emergency should be intuitive. When it comes to recalls, most manufacturers will offer safety alternatives. Contacting the manufacturer in the event of a recall is imperative. Of course, the worst thing that could happen is a child could die as a result of a defective or poorly designed car seat. 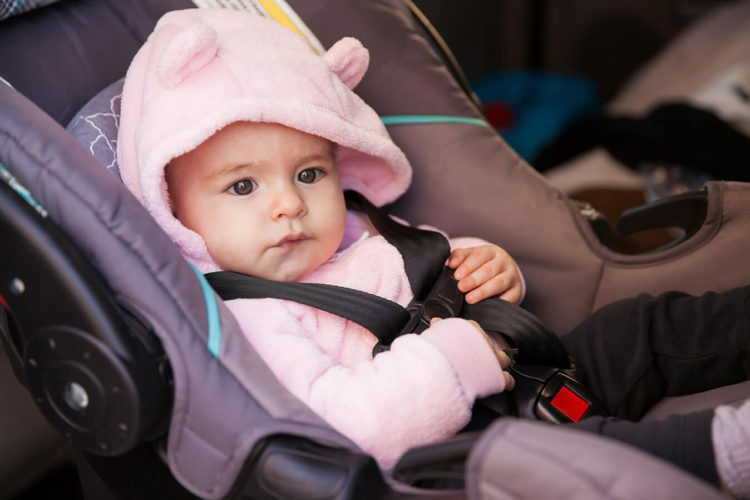 At the same time, serious injuries could occur when a child restraint system fails. If your child has been injured in an accident, it is crucial that you speak with an attorney as soon as possible. At de Lachica Law, we have the resources to investigate the claim and identify all prospective defendants. Contact us to review the circumstances of the accident. What Happens When You are Injured as an Uber Passenger?